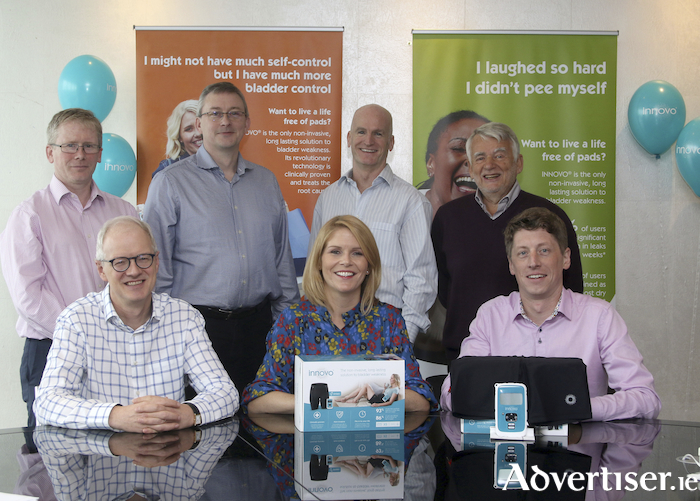 86 per cent of users are dry or almost dry after just 12 weeks, while 93 per cent see a significant reduction in urinary leaks in four weeks, giving women and men the freedom and control to rebuild their inner strength at their convenience and in their own home. Urinary Incontinence, or bladder weakness, affects one in three women and more than one in ten men in Ireland. INNOVO® Shorts are designed to fit in with a user’s life, with the initial treatment requiring five 30-minute sessions per week for three months to strengthen the pelvic muscles and restore weakened muscles. Elaine O’Neill, VP of Human Resources, commented that “INNOVO® is a clinically proven, safe, and effective therapy, and with this new easy to use format, we look forward to fulfilling our mission of enabling millions of people each year to restore their pelvic floor, and thereby restore control, confidence and active lifestyle. “We’re very proud that this ground-breaking therapy has been developed here in Galway, and we look forward to growing and developing our team here as we continue to focus on delivering highly innovative consumer medical devices that are marketed worldwide”.